The cleaner, the better. Even if its just a scrape on the knee or an insect bite, cleaning a wound properly is vital to avoid the risk of infection. With a bottle of Savlon Antiseptic Liquid in the house, it couldnt be easier. 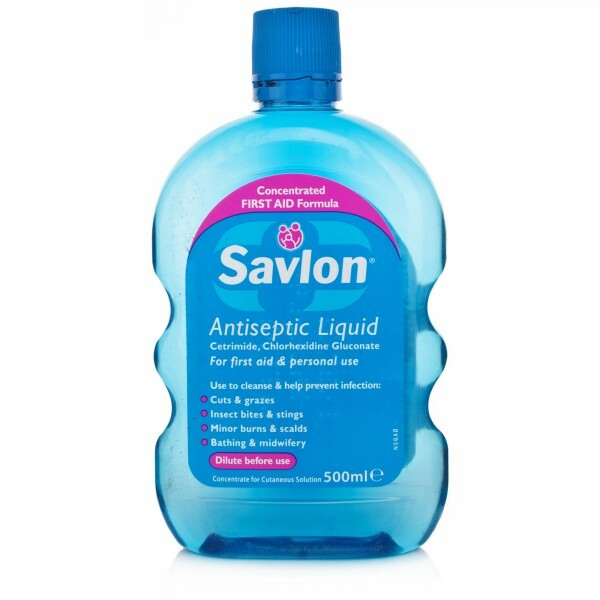 Use Savlon Antiseptic Liquid on cuts and grazes, insect bites and stings, minor burns and scalds - even for personal care in the bath or for midwifery. 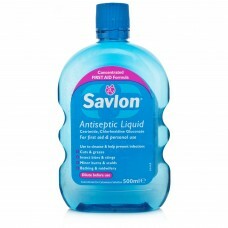 Savlon Antiseptic Liquid - With a bottle of Savlon Antiseptic Liquid in the house, it couldnt be easier. Because of its antiseptic action, it helps protect your family by gently cleansing and helping to prevent infection. Use Savlon Antiseptic Liquid on: Cuts and grazes Insect bites & stings Minor burns and scalds Personal care in the bath or for midwifery. How to use Savlon Antiseptic Liquid: Personal hygiene: Add 2 capfuls of the liquid to half a litre of water. For bathing: Add 5 capfuls to bath water. As a Antiseptic Aid: Dilute before you. Dab on effected area.